As the snow melts and the temperatures start to pick up, Princeton-area realtors are busy listing properties for sale ahead of the spring season. Everybody knows that Princeton homes are expensive. But just how much is the difference in price between homes in Princeton and elsewhere in the region? We took a look to see how the market is heating up, and found an astonishing statistic. The average listing price of Princeton homes on real estate aggregator www.trulia.com for the week ending March 6 was $967,111! The good news is that this average listing price is distorted by several properties with list prices in excess of $3 million. $967K still gets you a pretty nice house in Prineton, as the picture above shows. Based on these statistics, we can estimate that-on average-the difference in price between a home in Princeton and a home in a nearby town can be up to $250K – $300K. The average home in Princeton costs more than double the average home in Lawrenceville. Is it any wonder that many people doing regular jobs in Princeton end up living elsewhere? The incredible expense of Princeton property acts as an ‘invisible wall’, which presents a huge barrier to people who might think about setting up a home there. Despite the many attractions of living in Princeton, many people will decide that it makes more sense to buy somewhere else. Why is the average price of homes sold in Princeton so much higher than surrounding municipalities? One possibility is that the types of property sold in Princeton include a greater proportion of more expensive, single-family homes. 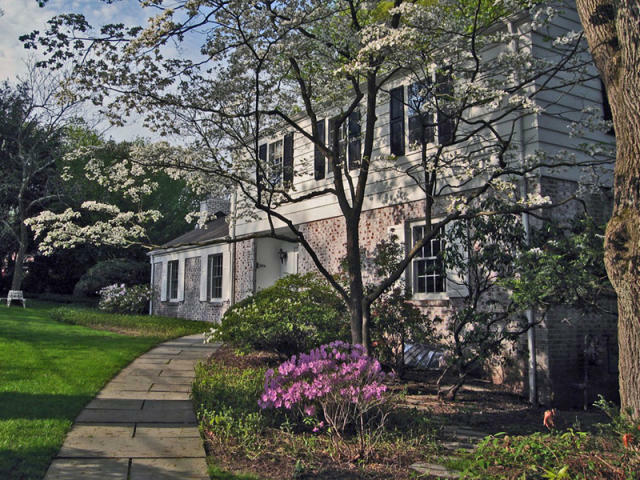 The other possibility is that the supply of homes in Princeton has become totally disconnected from demand, leading to sky-rocketing prices. A housing market that was functioning normally would result in more homes being built to meet increasing demand. That is not happening. New homes are being built everywhere except Princeton, meaning that people who work in Princeton are living in other more affordable places. How much extra do you think it costs to live in Princeton versus other towns in Mercer County? Is Princeton worth the extra expense? Leave your comment below! This entry was posted in Affordability, Local, Princeton, Real estate. Bookmark the permalink.